Monnet Ispat & Energy's board of directors have approved the proposal of buy-back of equity shares. The buy-back of its fully paid equity shares, will be from the open market, through the stock exchanges, at a price not exceeding Rs 500 a share, up to a maximum amount of Rs 100 crore being 4.97% of the total paid up capital and free reserves of the company as per audited consolidated balance sheet for the year ended March 31, 2011. 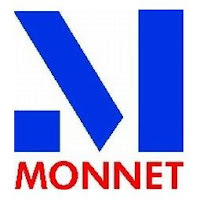 Monnet Ispat is the flagship company of the well diversified Monnet Group. The group currently manages manufacturing units for sponge iron, steel melting and rolling mill, ferro-alloys plant, power generation units, mining and mineral beneficiation of coal, iron ore and other minerals.